The M2i.47xx series allows recording of one, two, four, eight or sixteen channels with sampling rates of 100 kS/s up to 1.33 MS/s. 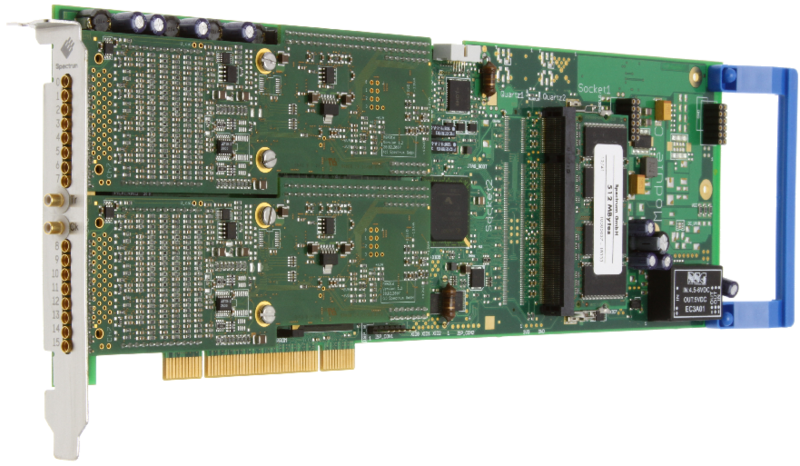 These cards offer outstanding A/D features both in resolution and speed for PCI/PCI-X and PCI Express. Using the M2i.47xx series it is possible to set-up systems with up to 256 synchronous 16 bit channels of data recording. The enhanced FIFO engine is capable of streaming even 16 channels at a sustained 1.33 MS/s to memory or hard disk. The analog inputs can be adapted to real world signals using individual settings for each channel. 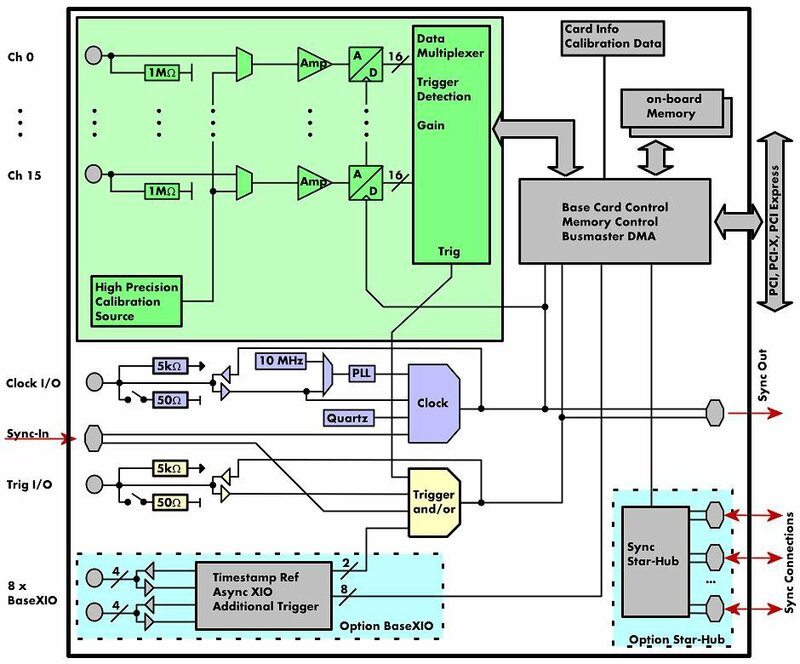 A large number of different input ranges allow to adopt perfectly to the real world signals. The product has 16 MMCX connectors for the analog channels and two SMB connectors for external clock and external trigger. Clock and trigger connections can be switched between input and output by software. The option BaseXIO has an addtional eight SMB connections.